We were denied IVIG for my 7yo daughter who has been diagnosed with PANDAS by Dr. K in Chicago. This was our first appeal and my second one goes directly to my husbands company. We have Aetna insurance, but the appeal had to go through a company that is part of MEDCO (the prescription company). I used an amazing letter a parent wrote on here as the basis and added the new study from NIMH and upadated info. I am guessing that this letter will be the best bet for this appeal as well. Here is my concern, we feel it is important to get my daughter in soon, since school will be starting and I do not want to put her in without having this done. After 18 months, it seems like the break between episodes is smaller and the anger and danger towards her sister duruing episodes are increasing. I have heard that Dr. K doesn't refer out of his state and we are in Michigan... I may have a chance to get some help through our local hospital and stay close to me home, does anyone know any Dr's in Michigan? I looked up the one doctor from PANDAS network and his HealthGrade scores are not good at all! I am not sure what to do, if my second appeal goes through I will gladly go to Chicago, but I fear it is much more expensive (even without the travel). 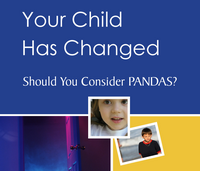 I moved your thread direct to the PANDAS forum, as more members who can answer are here than on the New Member Forum. Hi sorry I can't offer you help in regards to ivig but you mentioned anger, I am wondering if you have evaluated for bartonella which can cause rage? Good luck with ivig, is there a health advocate you could use to help you? We have a Michigan PANDAS forum on Yahoo. GreatLakesPANDAS. Come request membership. I will tell you upfront there are very few resources in Michigan. My son is Dr Ks patient too. We had IVIG twice at home through Walgreens infusion. Unfortunately, we were denied both times ($10,738 for 2g/2 day each time). According to Walgreens, who filed the paperwork both times, it helps to have a different diagnoses then PANDAS. Also, the more letters and documentation to show that your child has had strep and other illnesses the better. That said, if you need to pay out if pocket, or have the procedure at home, I strongly recommend Walgreens. They were very professional and really tried to help with the insurance. Thank you for the thought... I looked up the symptoms and they do not match. I will look in to a health advocate. Update: Sorry to wait so long... but you all understand I am sure! I received my final denial from Aetna UPS basically stating that PANDAS does not have a diagnosis code in the ICD-9 or ICD-10 or the DSM-5 - so they were basically saying it didn't exist. My husbands company is switching to Teamsters insurance in January and will be out of the "insurance business" then, so... they don't care. Luckily I received my denial during my open enrollment with my school employer and when I asked about IVIG for PANDAS they stated it is "standard procedure" for that diagnosis. What??? I had to ask 3 times and apologized afterward. So after making the decision of taking an $800/month paycut (money I received for not taking my insurance and the cost of our insurance) I took the insurance and we are approved for IVIG treatment and going this week. I now understand the statement "wept with joy". I will not stop educating as many health care professionals as I know about this subject! It is so important, and as we wait for the research from the NIMH study to come out I can say, let's hope this becomes standard. Just curious, which health insurance is that? Can anyone tell me how the IVIG was coded if it was approved by your insurance? And what insurance company it was?